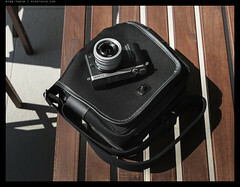 By popular demand, The Mirrorless Bag is a smaller companion to the popular Ultimate Daybag. It is constructed from the same high quality materials, by hand in England at the Frankie Falcon workshops. 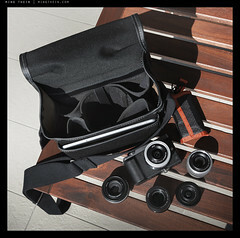 We have also incorporated a few improvements developed after the Ultimate Daybag: there are now four neoprene elastic pockets on the inside to hold lenses and accessories; a single removable velcro loop, and a back strap for quick grabs or to secure to rolling luggage. 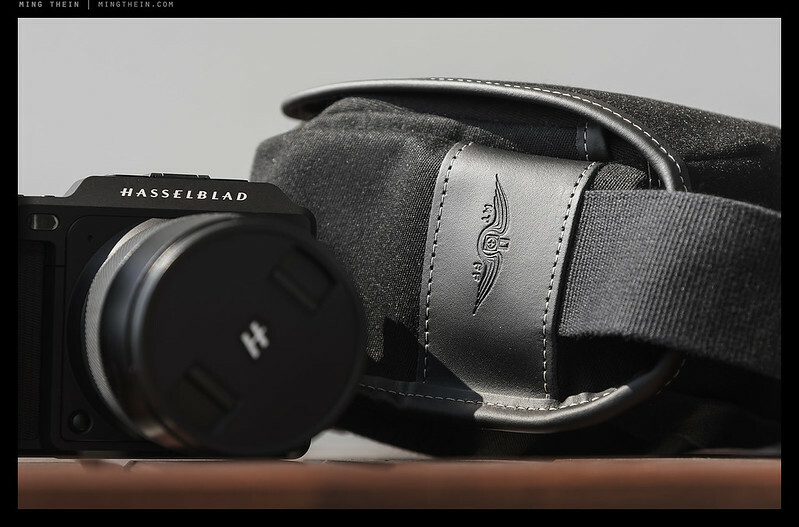 The shoulder strap is now 15cm longer to accommodate a wider range of body sizes, and the front toggle system has been replaced with a sprung rotating clasp for faster access. 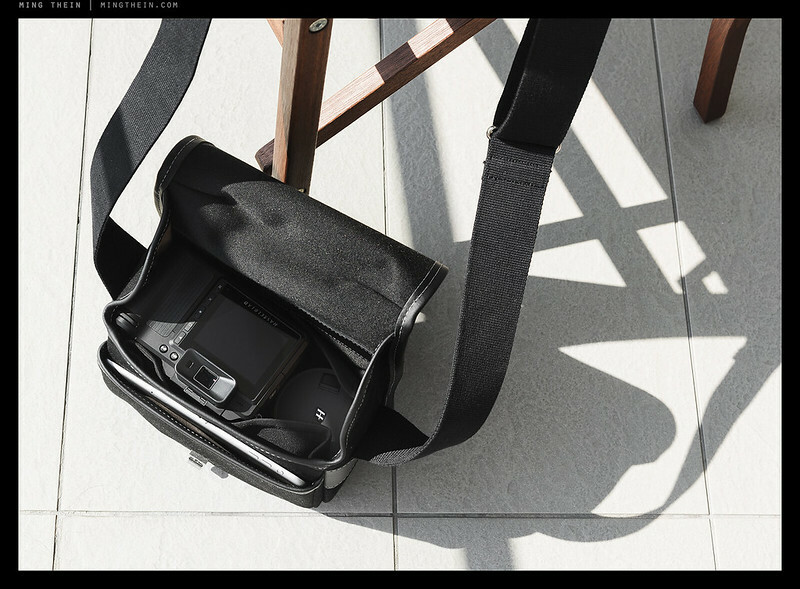 The shell of the bag is constructed of the same black laminated cotton canvas as the Ultimate Daybag, with an outer canvas, an inner rubber membrane for waterproofing, and a final liner. We use two layers of this canvas for the back and top, which ensures water resistance. It’s also the same fabric used in the convertible roofs of several well known cars. Edges are lined in soft Italian leather, with a thick bottom scuff pad and contrast grey stitching all around. 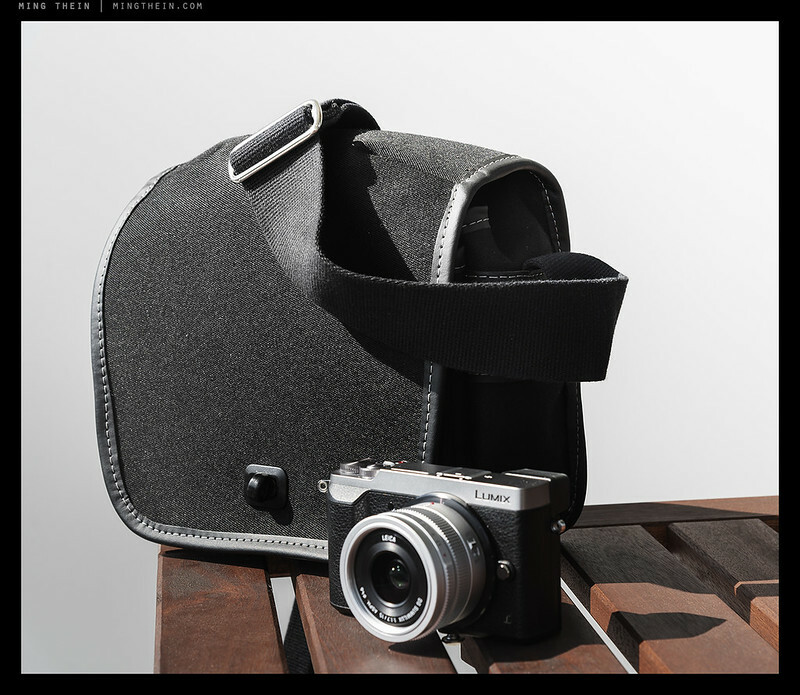 We use thick and pliable cotton webbing for the continuous loop-type shoulder strap, which moulds comfortably to the body and I find works better without a shoulder pad. 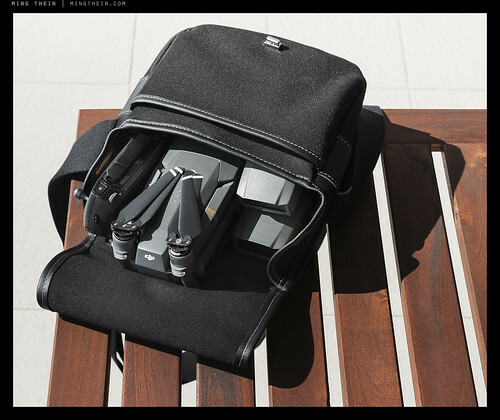 The overall size of the bag is 20x23x12cm, and the front pocket is padded and will accommodate a 7″ tablet such as an iPad mini. Empty weight is approximately 800g. The internal bottom padding can be folded upwards and the divider removed so the bag folds flat to occupy as little space as possible in your luggage. 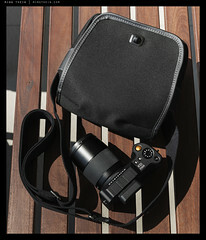 The bag will accommodate a M4/3 camera with a lens attached, plus up to six additional lenses (depending on size) and accessories, or a Leica M with four lenses. 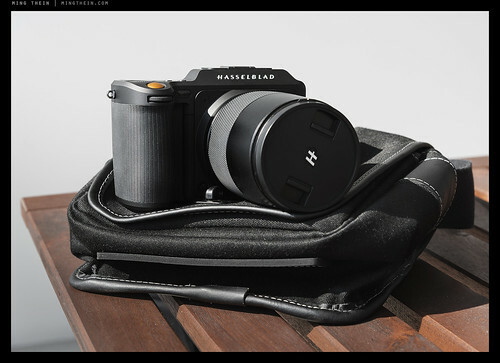 It will also accommodate larger mirrorless such as a Hasselblad X1D and 2-3 lenses plus accessories, or a DJI Mavic Pro with controller, extra batteries and blades. 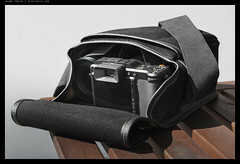 It also works well as a lens changing and accessory bag for a DSLR shooter. Every configuration will additionally accommodate a 7″ tablet (i.e. 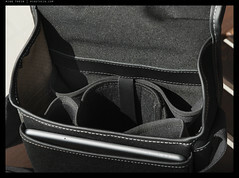 iPad Mini) or other small items in the front pocket. In the event that we are unable to fulfil your order, a full refund will be given. 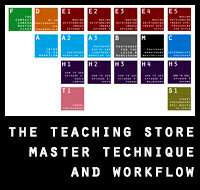 You will receive a confirmation on receipt of your order. If you decide to cancel your order within a week of placing it, a 50% refund will be given. Cancellations after this date are not eligible for refunds. We reserve the right to make minor ongoing improvements and changes to products. Delivery may take longer than the stated duration; events are outside our control once the bag leaves the factory. 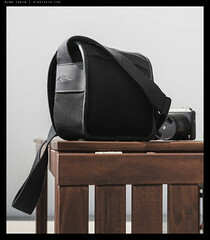 The bags will be made and shipped directly from Frankie Falcon in the UK; the factory will send an email with the tracking number upon shipping. Buyers are responsible for any customs duties and taxes that might be levied upon import into your country.